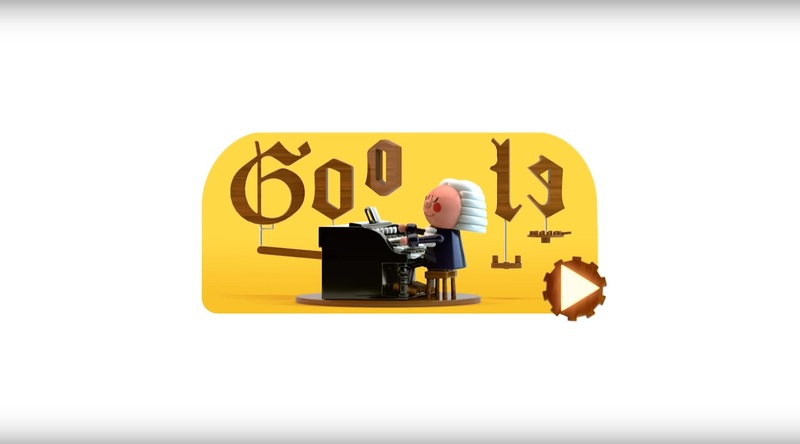 Johann Sebastian Bach was born 334 years ago today - and Google is celebrating in style. The artificial intelligence-powered Google Doodle enables users to compose their own music in the style of Bach himself. The creation centres around Bach's love of four-part harmony. Once a user has composed a melody, Google then generates the three remaining parts to create a much deeper, more complex harmony. Four-part harmony was a staple of Bach compositions, although the use of it actually pre-dates his work. The Baroque composer, born in 1685, was one of the most influential composers of his time, and many of his pieces that utilise four-part harmony are so brilliantly interwoven that it seems to be a huge task trying to separate them from each other. Bach was not looking to harmonise a melody with pleasant sounds. His aim was to express the richness of his thoughts through the music he produced. He certainly did just that. Creating the Bach-themed Google Doodle was by no means an easy task. In order for Google to create the rest of the four-part harmony, the tech giant had to analyse 306 Bach compositions in order to teach the Bach machine how to recognise patterns and create harmonies from the user's melody.